In order to assist the students of Hickman Charter School in reaching fractions fluency, we are offering the Grades 6-7 Proportional Foundations class. This class will aim to solidify student understanding of the concepts of proportional reasoning, with an emphasis on fraction concepts. 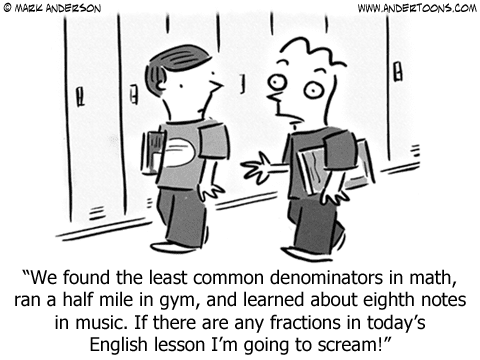 Beyond fractions, it will stress the relationship between fractions, decimals and percentages. Our main goal is to help students build confidence in their understanding of these concepts and to overall develop and ease and enjoyment of mathematics in general. The class consists of two components: classroom activities/lessons, and Scholastic's Fraction Nation online fraction curriculum.